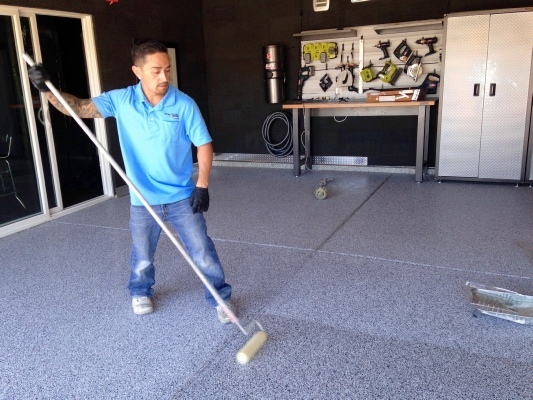 Epoxy Garage Floors offer a full line of premium quality two-part epoxy coating systems. Designed to be used on concrete, metal, masonry or wherever a tough chemical resistant finish is needed. These epoxy systems provide high build, high gloss, durability, excellent chemical resistance and maximum toughness. 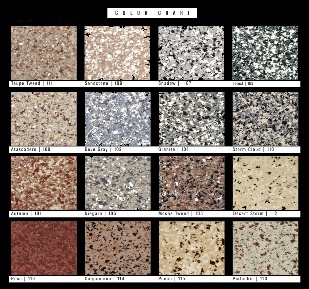 Available in a wide variety of colors and textures, Epoxy Systems make the perfect Showroom finish. Applying the color is what makes Pro-Tech Sealing the leader in the industry. Pro-Tech Sealing prides itself in each and every step of the process. That’s what makes its floors stand-out. Pro-Tech Sealing treats your house like it’s their own. 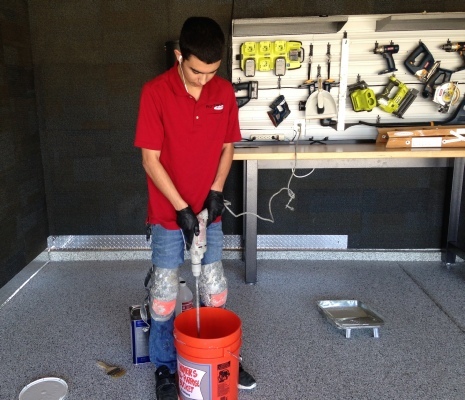 They’ll never leave you with a mess, just pristine Epoxy Garage Floors. “Mike’s work is incredible. There are so many color choices and our garage floor is unbelievable, Wow, just wow! We’re so happy. Thanks Mike and your awesome crew at Pro-tech Sealing.” ~Gary & Vicky G.